Enclosed Cargo Trailers For Sale | T.P. 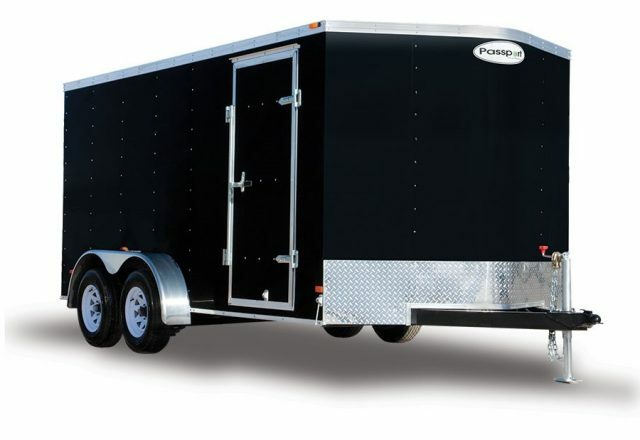 Trailers, Inc.
We carry top of the line enclosed trailers that are ideal for hauling just about anything and are sturdy enough to take on rough road conditions. 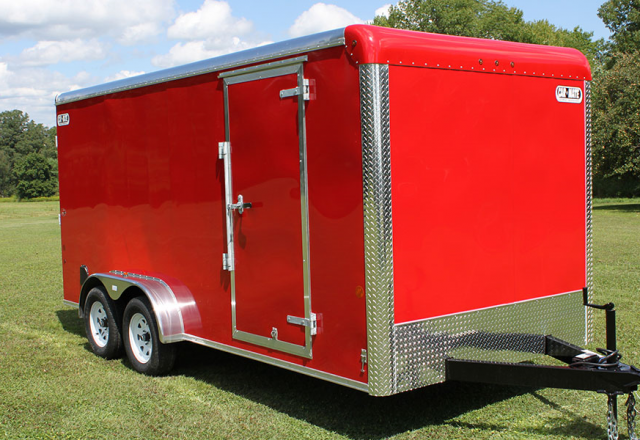 Our enclosed cargo trailers can haul a multitude of items whether you are moving, hauling band equipment, landscape equipment, etc. The enclosed cargo trailers have many upgrade options that include color, height, extra shelving, finished interiors and much more. Whether you are a first-time buyer or looking to replace your current trailer, we have what you need. Stop by today and browse our selection or place a custom order. Car Mate is your number one trailer manufacturer and will provide you with a quality trailer for your hauling needs. Models come in various sizes ranging from 4 feet to 8 feet wide. Standard features include side doors, double doors or rear ramp doors, 16” stoneguard, one piece aluminum roof, an aluminum exterior and a lifetime warranty on roof, floor, and LED lights. Options such as RV doors, steel shelves, two-tone exterior vinyl, rubber or laminated floor, extra height and so much more. Check out our selection or call to find out more about the multiple packages offered. 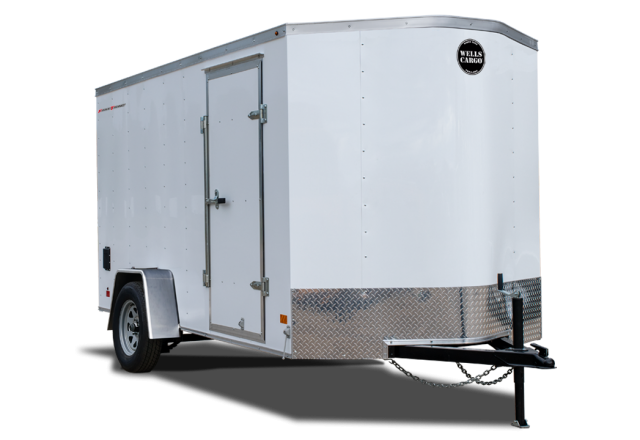 When you need a durable enclosed trailer to transport equipment, supplies, moving boxes or more, Haulmark is the place to be for enclosed cargo trailers. With a standard v-nose front, the Passport models also feature a dome light, 24” stoneguard, one piece aluminum roof, a side door and barn doors or rear ramp door. Sizes range from, 4 feet – 7 feet, and 8.5 feet wide with upgrade options such as extra height, sidewall vents, two-tone colors, D-rings and more. Check out our selection before they are all gone! Since 1954 Wells Cargo has set the industry standard in quality, design, and construction techniques. By combining state-of-the-art technology with the best materials available, Wells Cargo’s product line has an unmatched service life of over 15 years of daily use. Today, Wells Cargo offers over 200 different trailer models for industrial, commercial and recreational applications.